Matt can drive now?!! That's what most people say when they hear we've been giving him some experience in our cars. 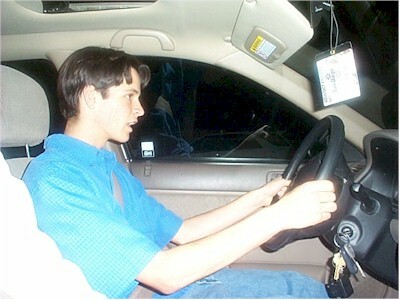 He recently earned his learners permit and will be eligible to get his license in October. Here he is, driving our Honda Civic, with the manual transmission. I think he is better with this car than the other one, which has an automatic transmission. Perhaps it's because he needs to concentrate more on what he's doing. Maybe it's just more fun!